On the eve of the expected announcement of a new Google tablet that takes aim at Amazon's Kindle Fire, a leak from within the online retailer revealed that a new version of its slate will be announced by the end of July. The timing of the leak comes just as Google is about to convene its developers conference in San Francisco--Google I/O. It's widely rumored that the search giant will pull the wraps off a new seven-inch tablet running Android 4.1 (Jellybean) at Google I/O, with pricing that would place it in direct competition with Amazon's Kindle Fire slate, which was a holiday success story in 2011. News of a July 31 release date for the next-generation Fire was reported Tuesday by David Carnoy, of CNET. Citing a "credible source," Carnoy acknowledged that the release date could not be confirmed. He added that the source said that the new Fire would have a camera and physical volume controls. A common complaint aired by Fire users is that the device's volume can only be calibrated with on-screen controls. The Google Nexus 7 tablet is expected to have a front-facing camera and a higher resolution for its display--1280 pixels by 800 pixels--than the current Fire, which has a 1024-pixel-by-600-pixel screen. No mention was made of a higher-resolution screen for the Fire 2 by his source, Carnoy wrote. However, DigiTimes reported earlier this month that the Fire 2 would have a 1280-pixel-by-800-pixel display and sell at $199, the price of the current Fire models. Like Apple, which dropped the price of its iPad 2 when it introduced its new iPad, Amazon would drop the price of the older Fire to $149. 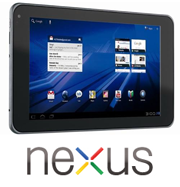 Pricing for Google's Nexus 7 tablet is expected to be $199 for a model with 8GB of storage and $249 with 16GB. The current Fire only has an 8GB version. One report, however, pegs Nexus 7 pricing at $177 and $159, which would really squeeze Amazon's pricing scheme. A late July release date makes sense. It indicates Amazon is targeting the back-to-school sales surge that takes place at the end of the summer, just as it timed Fire's initial release to exploit the holiday spending season. The timing of the leak is interesting, too. Since Fire's runaway holiday sales, it has lost a lot of mindshare in the tablet market. Those losses have multiplied in recent days with Microsoft's Surface tablet announcement last week and threaten to get worse if Google's slate is unveiled. So this leak acts as an affirmation by Amazon that it's still a player in the tablet game and isn't walking away from it.